The aim was to compare the diagnostic performance of dynamic Gd-DTPA- and ferumoxides-enhanced MRI for hepatocellular carcinoma (HCC). Twenty-five patients with chronic hepatitis or liver cirrhosis underwent both dynamic gadopentetate- and ferumoxides-enhanced MRI studies of the liver for HCC detection on the same day. MR data of both studies were retrospectively and independently analyzed. Two observers determined in consensus the grade of diffuse fibrotic liver changes (mild, moderate or severe) and the number of focal lesions. HCCs were confirmed by histology (n=22) and/or follow-up studies for at least six months (n=64). Differences in results obtained from both MR data sets were tested for significance with the McNemar’s test (p<0.05). Ferumoxides-enhanced MR images detected 84 of 99 hepatic lesions, including 82 of 86 HCCs and 2 false positive, nonmalignant lesions, while Gd-DTPA-enhanced MR images detected 92 of 99 hepatic lesions, including 81 of 86 HCCs and 11 false positive, nonmalignant lesions. 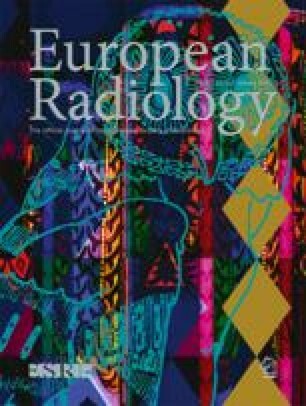 Sensitivity of MRI for detection of HCCs was not significantly different between ferumoxides-enhanced (95.3%; p>0.05) and Gd-DTPA-enhanced scans (94.2%). Gd-DTPA- and ferumoxides-enhanced MRI perform equally well for HCC detection. The majority of small hypervascular hepatic lesions, detected on dynamic Gd-DTPA-enhanced MRI but not on ferumoxides-enhanced MRI, represent no HCCs.